Marukyu-Koyamaen's low caffeine matcha contains 80% less caffeine than regular matcha blends. Using fresh water, through safe, innovative techniques (patent applied for), caffeine is naturally extracted using fresh water. 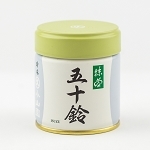 This premium matcha is then freeze-dried and ground in high-grade stone mills. 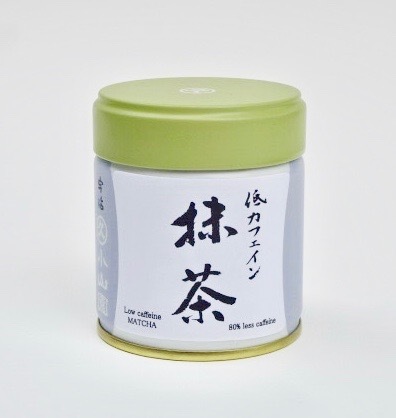 The amino acids present in matcha are not affected by the extraction process, preserving up to 90% of the beneficial constituents, including L-theanine and cathechins which may help regulate high-blood pressure and work as strong antioxidants. Low caffeine matcha is easy to prepare with no sifting or whisking needed. 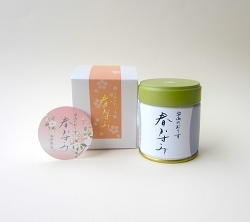 Simply dissolve in hot or cold water, shake and enjoy.